I just joined Kickstarter the other day and I backed a couple of projects. It didn’t cost me very much money and I got a real… kick out of it. 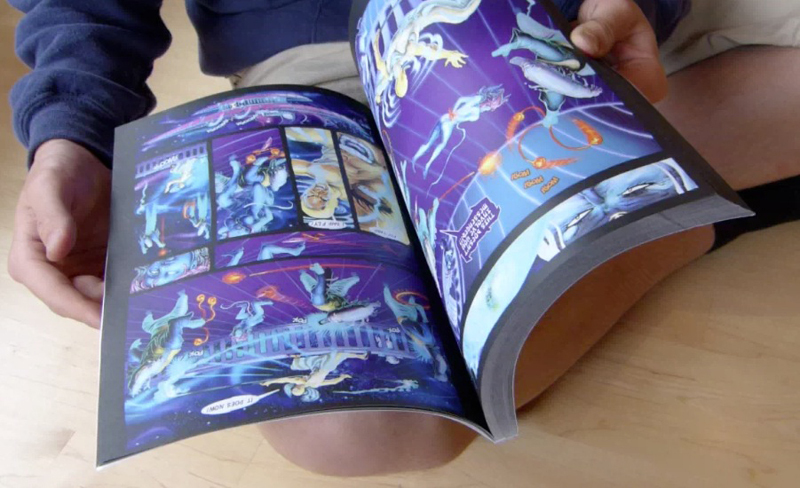 Now… Kevin Kelly – who is one of my heroes and probably one of the world’s most amazing technology commentators has produced a graphic novel. It’s beyond cool…. And the best thing is that the first part is available for free. You can download from their website for free in a bunch of different formats. However, I just wanted to point out that there are less than 60 hours to go before they meet their deadline. Currently, they don’t have enough funding to produce Part 2. They need the funding to produce part 2. No funding = no part two. I won’t get to find out what happens. A selfish motivation to be sure. This is a story about robots, half breeds, and angels. It’s science fiction. I love science fiction. It’s a story remember, not anyone’s particular religious views. It’s posing a really interesting philosophical and religious question: What if Robots had souls? Have you ever seen the movie the Matrix? One of Kevin’s books was required reading for all the cast. Interested in learning a bit more about the artificial intelligence? The story brings together theology, science, and all sorts of geek stuff like quantum physics. Even if you’re not interested in the intersection of philosophy, theology, and technology like I am it’s just a darn good yarn. The illustrations are amazing. Download the free Part 1 and check it out. This approach, which is called crowdsourcing or crowdfunding, is possibly the future of publishing. And perhaps the future of everything. Check out the kickstarter link here and support this great project. If you want to hear Kevin Kelly speak then check out his presentations on www.ted.com. They are also pretty darn amazing.